Ronald Clare Spendlove, 84 of Hillsboro, passed away on August 29, 2018. Ron was born June 25, 1934 in St. Thomas, Ontario, Canada, the son of Ernest and Nora Gwendolyn (Jacobs) Spendlove. Besides his parents, he was preceded in death by a sister, Maureen. Ron is survived by his wife, of 60 years, Ruth Ann (Wilkin) Spendlove, a daughter, Cheryl Ann Dukes of High Point, NC, son, Ronald Dallas (Evonne) Spendlove of Wilmington, brother, Milton Ernest Spendlove of Canada, sister, Donna Gayle Cole of Michigan, four grandchildren, Ryan and Jenny (twins) of Cheryl and Andrew and Emily of son Ronald, three great grandchildren, Ally, Graham and Avery. He has several nephews and nieces. Ron joined the U.S. Air Force in 1956 and became a U.S. citizen in 1960. Ron and Ruth Ann met at Clinton County Air Force base and married in 1958. He worked as a manager of several trucking companies, was deputy to the Medina County Auditor, and was Clerk of Hamer TWP and several other jobs. Ron raced harness horses, coached youth football and baseball. He started wintering in CLVII in Florida in 2000, where he became the drummer for Suncoast Mummers Band and the Goodtimers. Also, he played drums with the Sunshine Band at the Highland County Senior Center for 20 years, where he recently enjoyed playing chair volleyball as well. Ron was a member of the Lions Club in Median and Highland County, Elks VFW, American Legion, Eagles and a lifetime member of the AMVETS. A Graveside Service will be held at Buford Cemetery on Saturday October 20, 2018 at 11:00 am. Military Graveside Rites will be provided by the Highland County Honor Guard. Thompson Funeral Home is serving the family. In lieu of flowers, memorial contributions can be made to Hospice of Hope, 215 Hughes Blvd. Mt. Orab, OH 45154 or Highland County Senior Center, 185 Muntz St. Hillsboro, OH 45133. 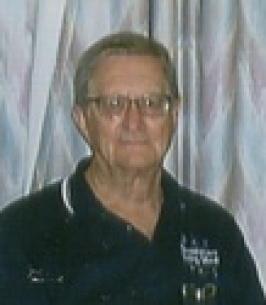 To send flowers to the family of Ronald Spendlove, please visit our Heartfelt Sympathies Store. I was privileged to have had Ronald Clare Spendlove as my friend. I feel a great loss at his passing. He enriched my life and made this a better world for all who knew him. His influence will continue to be a blessing to us all. Our condolences go out to the entire family for the loss of this wonderful man. He was truly an inspiration for the youth of the communities he lived in, as well as to his family and friends. Inspirational memories will always be carried with all of us, and that in itself is a true testimony of the man he was. Rest in Peace Ron! My grandpa was one of a kind. As a young man he taught me about discipline, self-respect, being well-educated and making good grades and being a good person. He was also one of the funniest people and biggest jokesters I’ve ever met. I will never forget the summers I spent on the farm with him and my grandma and our family summer vacations in Myrtle Beach. He is and always will be loved and missed. We are sorry hear of his passing. May God be with you and the rest of the family, we know Ron is playing drums in Heaven now. My thoughts and prayers go out to Ruth and family on Ron's passing. I will remember hjis wry humor and all the fun we enjoyed together at parties at Country Lakes II. We also spent most every holiday together each other's homes and we could always rely on Ron to provide us with a good laugh. I will remember his morning walks though the community and his friendship, I will miss him. Condolences to the Spendlove family. Our thoughts and prayers go out to your whole family. Psalms 147:3 says God, "heals the broken hearted, and binds up their wounds." May God bring you comfort and peace. Ruthie, So sorry! Many good times we all had in Flordia!! Remember the good times! So sorry to hear about Ron. Prayers & sympathy for all. Leslie Ramsey and family.